The success of Michigan’s athletic teams has elated thousands of loyal fans Covering the spread. But at local bars and behind closed doors, bookies regularly take bets on athletic contests, as students look for a quick thrill and an easy way to gain cash fast. It’s not whether you win or lose. It’s how you play the game. Where sportsmanship is concerned, the old saying may hold true. But for student gamblers who pluck down their cash in hopes of beating the odds and making a few bucks, winning or losing means everything. Football aficionados credit their beloved sport as being the most exciting athletic event in the nation. But gamblers also rely on the sport as the pinnacle of all gambling seasons. “Betting on other sports, such as basketball, hockey, and even baseball, exists all year round. But football season is the king of all gambling seasons,” said an LSA junior and bookie known to campus gamblers as The Worm. Although gambling on college campuses exists in forms that include activities such as poker, darts and billiards, national sports events prove most enticing to college gamblers, said Business junior and former bookie Mike Abramson. “People bet on basketball and hockey, but not even close to as much as football,” Abramson said. The popularity of sports gambling on campus can be attributed to simplicity: It is relatively easy for students to pick one team and bet on an outcome according to the spread. “The reason students bet is because the money is enticing. All you have to do is pick one team over the other. It seems too easy,” The Worm said. Even trivial propositions, such as who will win the coin toss before the game, who will kick the extra points after each touchdown and what team will kick the first field goal hold seemingly non-strategic stakes in the game. Still, these incidents represent potential profits for student gamblers. “I’ve seen people bet on heads-tails coin flips,” Abramson said, acknowledging that he doesn’t see it occur frequently. “Coin tosses are reserved for the Super Bowl,” The Worm said. The University’s emphasis on sports, enhanced by the football team’s exemplary season, solidifies sports betting as the most prevalent type of gambling on campus. “Besides academics, football and sports are a primary reason why people love U of M,” said LSA first-year student Nicholas Yu, saying he is not surprised by the pervasiveness of gambling. A University senior and waitress at a local sports bar said she sees students gamble on all NCAA football games, not just those involving the Michigan football team. Betting on football games is definitely commonplace, she said. Officials in the Athletic Department say they are unaware of any gambling issues affecting University athletics. “I don’t see it because I try as an individual to stay away from those situations,” said Bruce Madej, assistant athletic director for media relations. Senior Associate Athletic Director Keith Molin had no comment about the prevalence of gambling on campus. Postseason bowl games will likely enhance the amount of student gambling. “Bowl games stand out because they are three or four days of intense football,” The Worm said. Considering Michigan’s Rose Bowl berth, some students will have a personal stake in placing bets on the game’s outcome. Some gamblers see it as a way to display their spirit and exhibit support for their school. “More people will gamble on the Rose Bowl specifically because we are in it. People will be convinced that we will win, so they will try to find people to bet on Washington,” said Business junior Matthew Lapham. “The Rose Bowl is a high-profile game, and more people will be inclined to place a bet,” said Engineering first-year student Jason Keefer. “Anytime a game gets bigger, it gets more and more enhanced,” Madej said, referring to a potential increase in gambling as a result of Michigan’s participation in Rose Bowl. Abramson doubts that the Rose Bowl will encourage more students to gamble. “People who gamble will gamble regardless,” he said. Some students say they find gambling distasteful, since they have little control over the outcome of the game or their monetary compensation. “I don’t want to lose money on something I can’t control,” said LSA first-year student Kent Shafer. The Worm said the spread is not the only consideration when bettors pick what team to support. “It is probably true that college students will bet on their school because of their ties. However, they are not betting with their head, but betting with their hearts,” The Worm said. Students say there is a fine line between gambling for entertainment and gambling as an obsession. And it is often difficult to determine where these lines cross. “For the most part, gambling is a pastime. It keeps students entertained throughout the game,” The Worm said, noting that gambling can surface in the form of a friendly wager before a game. Jackpots range from a drink at a bar or dinner at The Gandy Dancer – to bets worth hundreds of dollars. With stakes determined in advance based on a spread, some students find entertainment value in the thrill of the gamble, not necessarily the monetary compensation. 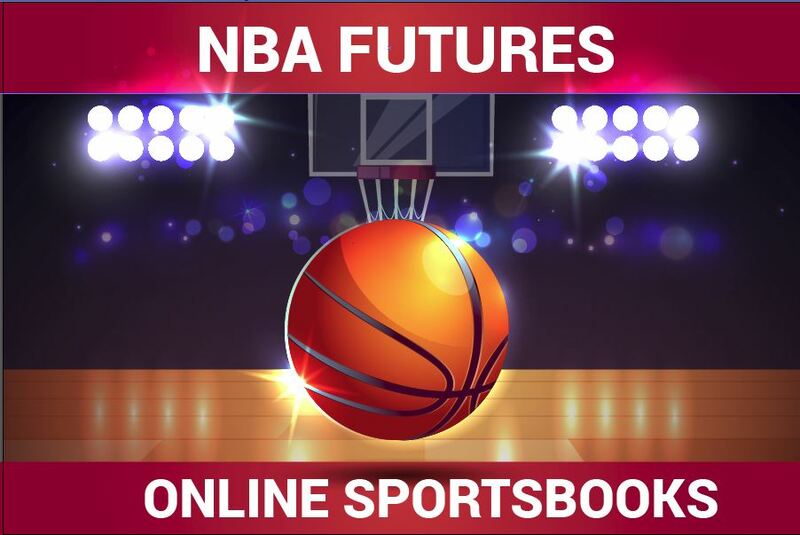 “Often the score is not a good indication of the excitement value in the game,” The Worm said, referring to the point spread and wagers that contribute to the outcome. Both bookies agreed that gambling can grow into a dangerous addiction. At some point, the stimulation created by betting evolves from harmless enjoyment to a blatant necessity to win. According to a recent study conducted by Harvard Medical School, the majority of Americans and Canadians gamble with few repercussions. But the prevalence of “disordered” gamblers in the adult population has increased from .84 percent to 1.29 percent over the past 20 years. In crossing the line from hobby to habit, The Worm said gambling becomes an addiction when the student is forced to find alternative means of income in order to maintain his or her gambling habit. The Worm said heavy gamblers sometimes resort to desperate measures if they get in debt, taking an attitude of “don’t worry, if I lose I have stock I can sell” in order to cover their losses. When the gambler is forced to ask grandparents for money, The Worm said jokingly, it is the sign of a serious problem. With the recent approval of Atwater, Greektown, and MGM Grand casinos in Detroit, University students will have an easier opportunity to aim their expertise (and their wallets) at ventures other than sporting events. “There will definitely be more access for students, because they do not have to worry about converting money and crossing the border into Canada,” The Worm said, referring to a popular casino in Windsor, Ontario. But the bookie noted that since there will not be any sports bookies in the casino, college sports gambling will still be widespread. “I’ll be down there every week because most likely it will be cheaper to play,” said LSA first-year student Adam Rouls. Abramson predicted the new casinos in Detroit will not have a significant impact on students. “Students who gamble already go to Windsor,” Abramson said. Since the age requirement to gamble in Windsor is 19, it is more convenient for underage students, he said. The Detroit casinos will have a minimum gambling age of 21. The differences in distance between a trip from Ann Arbor to Windsor and a trip from Ann Arbor to Detroit are not significant enough to make Detroit a bigger gambling draw, Abramson said. Elizabeth Hall, spokesperson for the Department of Public Safety, said prosecution of student bookies and gamblers has not been widespread on campus in recent years. Although DPS is aware that the potential for gambling on campus exists, there have been no legal infractions associated with student involvement in gambling rings, Hall said. “We haven’t had any incidents of gambling reported in a while,” Hall said. Madej said any reports of gambling on campus will lead to a legal response. “If we hear about anything like that, we would report it and send it on to the proper authorities,” Madej said. Hall affirmed that DPS does not see gambling as a major problem at the University. “We do not have a problem on campus. We haven’t had a problem in years and years,” Hall said. The Worm said he has no fears of facing repercussions for his activities as a bookie. While sports fans dedicate hours examining game statistics for their personal interest, a gambler’s need for regular cash flow is critical. Do the odds favor student winnings, allowing them to carelessly spend their way through college? Or do bookies swindle students with ease, like stealing candy from a baby? If the gambler’s team of choice loses, the gambler is obligated to pay the bookie an additional 10 percent of the amount originally bet. “Bookies lose some weeks,” The Worm said. When most bettors select the winning team, there are fewer profits for the bookie to earn.